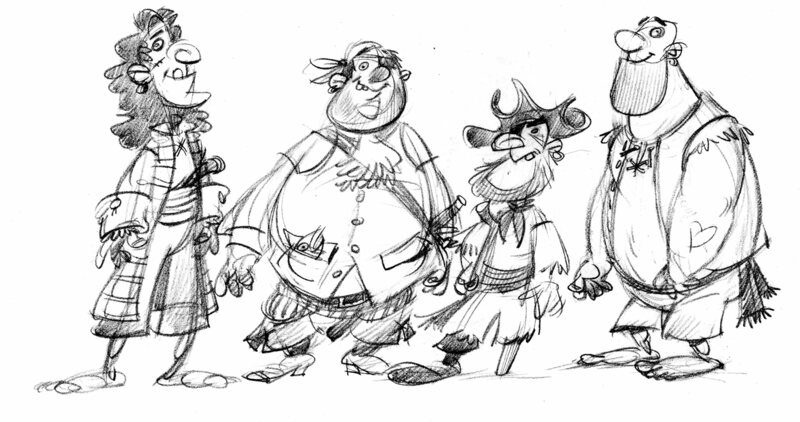 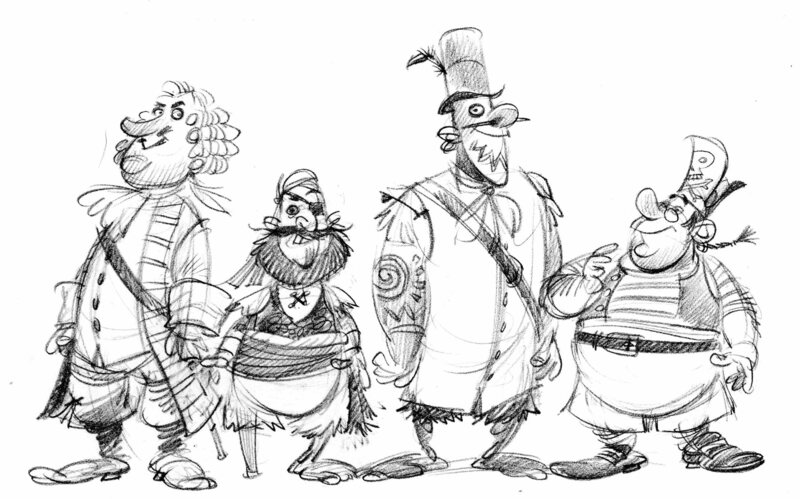 Here are the character designs for Pirates Go To School. 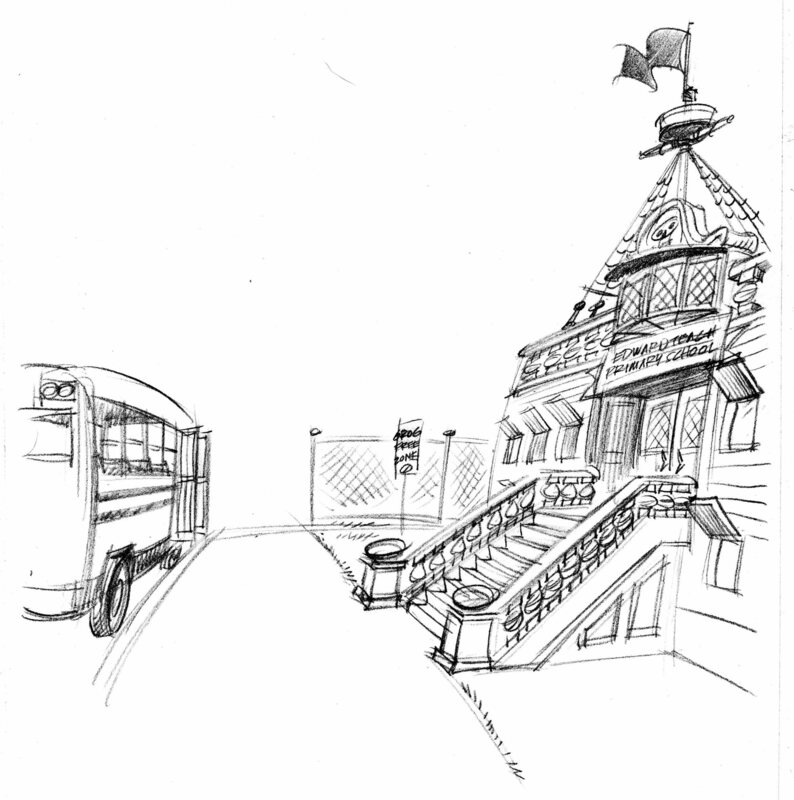 I originally envisioned the pirates as grownups, attending a school that looked like a pirate ship. 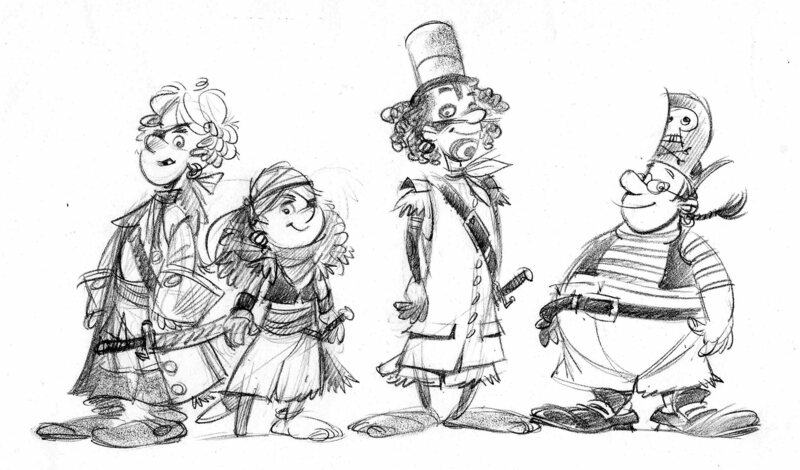 After seeing the initial sketches, Ken, the art director, asked me to draw them as pirate kids—attending a normal elementary school.